July 6, 2018 July 6, 2018 / Elizabeth T.
I know we’re already well into July, but I just wanted to say Happy July! Can you believe more than half of the year is already over? I can’t believe how fast time flies! Last month, I didn’t have the chance to round up my favorites because things just got out of hand at work, so this month, I’m back with some of my favorites from both May and June! So without further ado, enjoy! 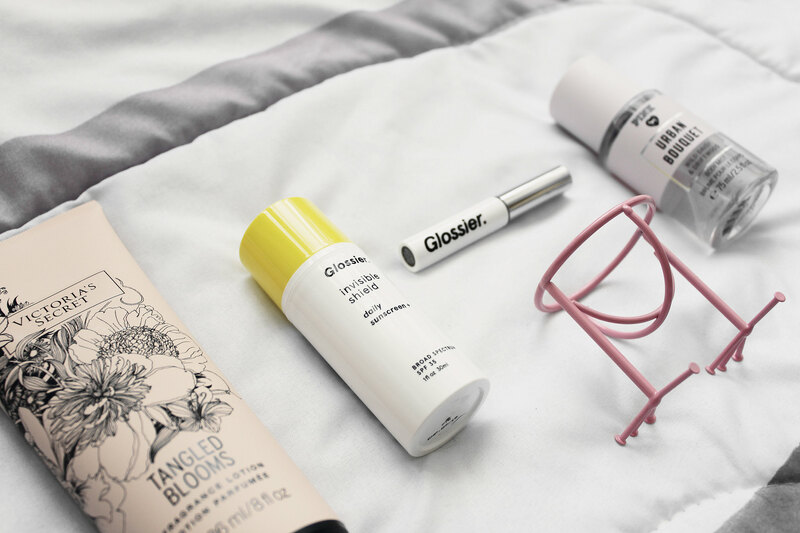 I know I’m a bit late to the game, but I’ve been on a Glossier craze this past month! And of course, the one product that totally got me into this brand is none other than their famous Boy Brow eyebrow-mascara! I love how this formula thickens, fills, and shapes brows for such a natural, soft, and flexible hold. I got this in brown, but I’m really excited to try the clear version next, since I think it’ll perfect for those “no makeup” makeup days don’t you think? 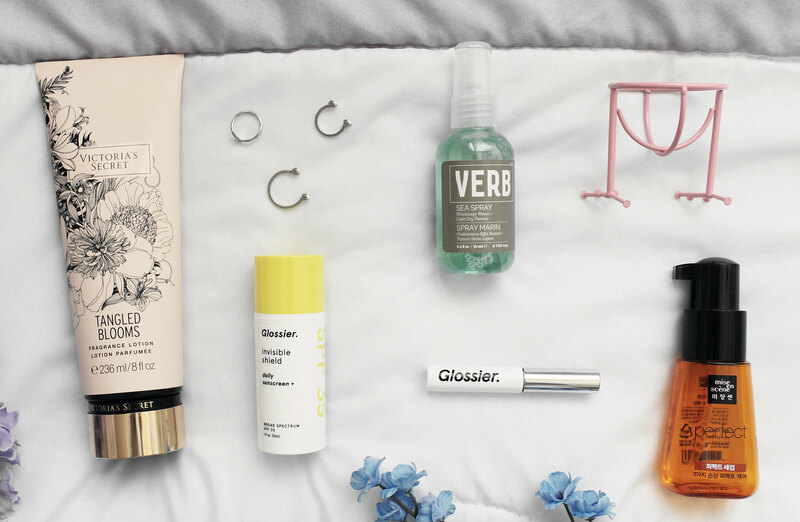 Of course, I couldn’t just pick up one Glossier product, now can I? I actually saw this sunscreen on my Instagram feed, and after reading some reviews, I knew I had to have it! I currently wear my holy grail, the Shiseido sunscreen in SPF 50, on a daily basis, but on days where I just go to the office (and leave long after the sun has set), I really don’t think it’s necessary to wear something that’s both sweat-proof and water-proof. 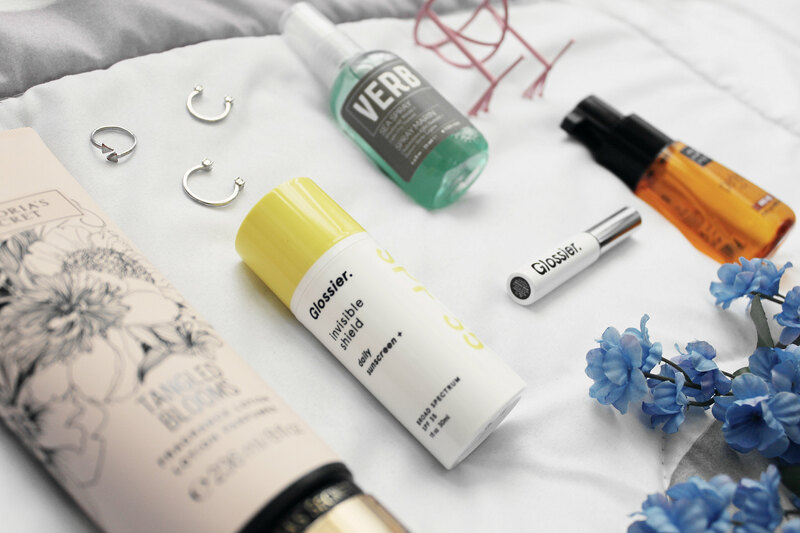 This is why I was so tempted to try this sunscreen from Glossier because it’s deemed a sunscreen that’s for “people who hate wearing sunscreen.” And I can’t agree more! The clear water-gel formula is perfect because isn’t greasy or sticky at all, but still does everything a sunscreen is supposed to do, like prevent sun damage! 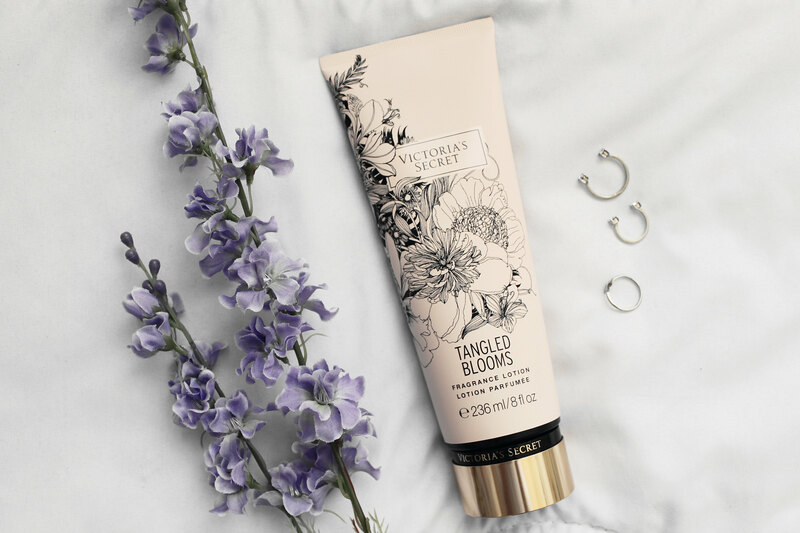 I’ve always loved Victoria’s Secret’s body lotions because their fragrances are so feminine! Lately, I’ve been loving this floral scent because it’s considerably subtle and just smells very fresh yet sweet at the same time. Plus, isn’t the packaging of the bottle super pretty? Aside from some great beauty finds, I’ve also found some hair favorites as well! As some of you might know, I recently got my hair highlighted during my trip to Taiwan in April, and as a result, I bleached parts of my hair to achieve that ashy brown color. I’ve been trying to take extra care of my hair, and I’ve been finding that this serum works wonders on my hair! Not only is it super lightweight, the blend of Argan and rose oil really nourishes the tips of my hair, giving it such a healthy glow. Plus, it has a subtly floral fragrance to it as well, which is always a big plus to me! 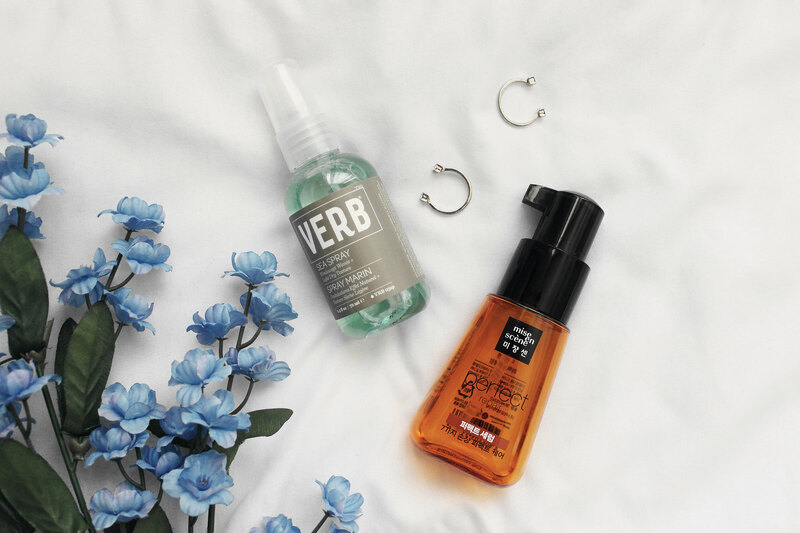 Another hair favorite (which is perfect for the summer, by the way), is the Sea Spray from Verb. With natural sea salts and smoothing moisturizers, this light mist spray really brings out the natural wavy texture in my hair and gives it some extra volume! Plus, it doesn’t make my hair feel dry or frizzy at all! And of course, I saved my best favorite for last! Like a lot of you out there, the Beauty Blender has become my favorite way to apply my foundation and face makeup, but one of the downfalls of it is the fact that it’s always kind of inconvenient because it just rolls around everywhere when I set it down on my vanity. This is why I’ve been loving this makeup sponge stand so much! I don’t know why Sephora doesn’t sell something similar to this, but I think it’s an absolute must-have for everyone who loves using a Beauty Blender! I found some very cute options on YesStyle, and they’re all super affordable too! And that wraps up my favorites for May and June! 🙂 What were some of your favorites these past two months? Let me know in the comments because I always love hearing from all of you! The sea spray from Verb looks interesting! It’s the best! ❤ I love using it for natural waves! These are amazing picks you have here listed. I always love to read blogs about month favorites. I got my eyes on my own favorites already. I saw number 2 on Liah Yooh’s YT. Now I wanna get it!